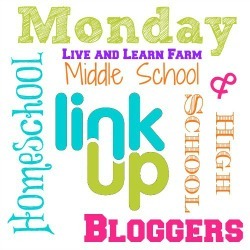 Welcome to our Middle and High School LinkUp #15 for tweens, teens and their Moms! 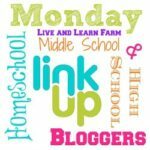 We are so excited to have a linkup for our children to have a creative writing outlet and for us moms to have a place to share middle school and high school homeschool tips and techniques. The students are provided a creative writing prompt (usually). They write their article on their own blog or on their mom’s blog and then link their articles below. I am so encouraged and excited seeing how their writing skills are developing and their creativity is flourishing! This has been such a blessing to me personally and to our own homeschool! Thank you all for being a part of it! If you are interested in joining us, linkup your article below. If you want to co-host, email me and let me know. Our focus for the co-hosting is for only moms of the teens, or the teens themselves to co-host. The link-up will be open Monday through Saturday evening. Please link directly to the url of your post (permalink). If you don’t mind, please place the button and code in your blog post so others can find out about the linkup also! and now it’s time for the link up! The story prompts seem to be working well… so I’m going to continue with these. Here is a list of prompts I found to help get your creative minds flowing! Let’s take a break from fiction for this one and get into some more thought-provoking questions to prompt your writing this week… Many of the questions came from this list. 1. A television network is looking for ideas for a new television series for homeschooled teenagers. Write a letter to the president of the network explaining your idea for the new television show. Include all the information that will help the president evaluate your idea, including the show’s title, what kind of show it is (such as reality, comedy, music, game, or sports), specific details or features of the show that would be appealing to teenage viewers, and an example of what viewers might see in a typical episode. 2. A magazine is looking for ideas for a monthly feature series for homeschooled teenagers. Write a letter to the editor of the magazine explaining your idea for the new series. Include all the information that will help the editor evaluate your idea, including the series’ title, what the focus of the series would be, specific details or features of the series (like what the first 3 articles would be) that would be appealing to teenage homeschool readers. 3. Explain the importance of being able to see a situation from another person’s point of view. You might create a story to support your perspective. 4. Explain why it is important to forgive. 5. Music impacts every culture and every individual’s life. Explain what role music plays in our culture and how it impacts your own life. 6. Describe what makes a great leader. If interested, create a story around a great leader. 7. In some countries every young person must serve two years of military service. Should we have a similar policy in the United States? Write an essay stating your position on this issue and supporting it with convincing reasons. Be sure to explain your reasons in detail. 8. Quote me. Do you have a favorite quote that you return to again and again? What is it, and why does it move you? Trish has been married to her best friend, David, for 16 years and they have three sons (aged 13, 12 and 9). Trish is from the coast of North Carolina, but they now live in rural West Tennessee on a 40+ acre farm. 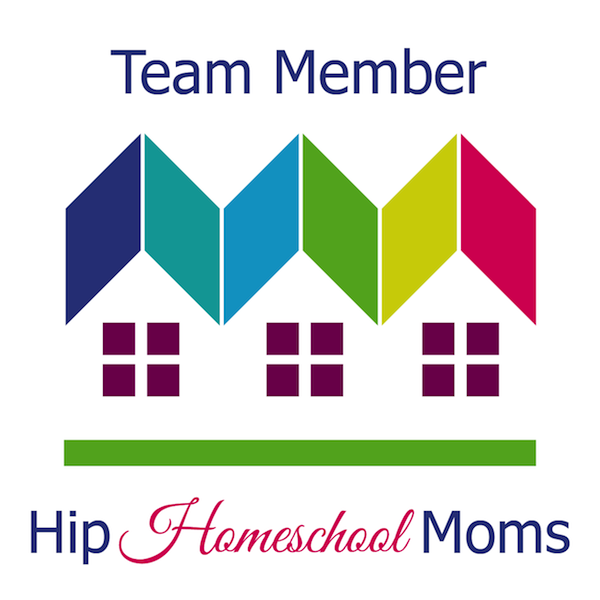 She has been homeschooling since 2009 and her homeschool style leans towards a Montessori approach with a heavy emphasis on hands-on learning. They also own a small business that Trish runs from home. Trish’s family is Messianic and they love studying the Scriptures, learning Hebrew and growing in their faith and walk daily. In her spare time, Trish loves to write, work in their garden and can regularly be found trying to learn something new, modeling that learning is indeed a life-long endeavor! Cedar Shavings Can Be TOXIC for Chicks! We create and distribute our newsletter via MadMimi! It is SOOO easy to use! I highly recommend it! Just select and copy the code below.